They Misdiagnosed Your Exhausted Thyroid? The diagnostic terms "hypothyroid" and "hyperthyroid" are polar opposites. These diagnoses are not made unless distinct out-of-lab-range values appear in your thyroid testing. There is no official diagnostic term called "exhausted thyroid," yet, there is a time period when your thyroid can be functioning less than optimally, and transiently act as both hyperthyroid and hypothyroid: up and down, in a "bi-polar" fashion. During this time period (3 years minimum) your thyroid testing may show TSH (thyroid stimulating hormone), going up and down on successive tests, but TSH still appears "within normal range" — nothing diagnosable as hypothyroid or hyperthyroid. With all this up and down thyroid activity you develop an exhausted thyroid, but you enter into a diagnostic limbo of nothingness; "thyroid limbo" if you will. You get an overly simplified misdiagnosis excluding your thyroid because your TSH results do not go outside of the lab ranges and spell-out a simple diagnostic term, like hypothyroid or hyperthyroid. Your current doctor refuses to order any other thyroid tests because your TSH test result is not yet out of lab range, and the doctor doesn't care about other thyroid markers (the 7 other necessary thyroid tests in a full thyroid panel) because they don't change his/her only treatment, which is a thyroid replacement hormone (T4, aka: thyroxine). This is especially true if you are already taking thyroxine, since most medical doctors will not investigate or change another doctor's prescription. What a limited viewpoint! Thyroid limbo is your destiny when your thyroid dysfunction (yes, it is definitely related to your symptoms) is overlooked by your current, well-meaning, but clueless doctors. Thyroid limbo is not something you should try to fix all by yourself. It is too complex for do-it-yourself strategies. The purpose of this article is to let you know that we can help you. When your thyroid tests still show "TSH" within its wide lab range (labeled as "euthyroid"), your condition is not treatable by chemical medicines. Exogenous hormones are not the answer. Hormone replacement drugs are not the answer. You can not use exogenous hormones when you are not hypothyroid. Any doctor who prescribes thyroid hormones for you when you are not hypothyroid is an idiot. When you are clearly not hypothyroid, but your symptoms are all about your thyroid dysfunction, you need the help of a clinical nutritionist, not a doctor who would prescribe the wrong treatment. The TSH test they ordered to evaluate your thyroid was not sufficient to give enough information about your true thyroid function. Routine thyroid blood tests may only include one or two "thyroid markers." This does not show enough information. More tests are necessary to know what is really happening with your thyroid function, or your thyroid hormone metabolism. Your doctors say: "there's nothing wrong with your thyroid," but this is the first big mistake that sends you on the wrong path, the wrong diagnoses, and the wrong, destructive treatments. This is a common, tragic case of thyroid dysfunction misdiagnosed as a mental disorder. Routine, limited thyroid tests miss the important details. Your test result gets lost in an overly wide laboratory range that means nothing, gets misunderstood, and leads to a "psych" misdiagnosis. Stressful physiology—like when having a "panic attack"—is not revealed in routine, limited thyroid testing; even if you had a thyroid test just after you had a mislabeled "bipolar episode," so they won't correlate your up and down feelings with your thyroid disfunction. Without a functional medicine doctor's interpretation of your test results, your lab tests will most likely get misinterpreted. Sub optimal thyroid function (not hypothyroid and not treatable by more exogenous hormones) goes undetected by the routine tests you've already had, until your level of health would degenerate so much that it would finally show-up as "out of lab range" (at least 3 years from onset). They're wasting your time. You are obviously not well now, but they keep telling you "you're fine" and "it's not your thyroid" (watch the short video above). While you're in thyroid limbo, and never having been tested for thyroid autoimmunity or leaky gut, you experience what appears to be "depression," "bipolar episodes," "anxiety attacks," adult ADD, or other psychiatrically labeled "mental disorders." The labeling process of depression is faulty and subjective, and depends on who is giving you the label. Throwing around these dangerous labels is a practice of nonsense. The "depression" label in general is an inaccurate misdiagnosis, and often leads to the use of dangerous drug treatment, even for women who just had a baby. A drug-free postpartum depression solution exists, but women get a drug prescription instead. Pregnant? Protect yourself from these misused labels. "Depression" is usually not the initiator of your condition. "Depression" is usually a misdiagnosis. In Los Angeles we have an alternative to drug treatment for depression, and we include sufficient thyroid testing. Contact us in Los Angeles. If you were to visit a psychiatrist during this time period of thyroid limbo, you would get misdiagnosed as bipolar, misdiagnosed with depression of one sort or another, misdiagnosed with anxiety, or misdiagnosed with ADD." Then, after receiving one of these overly simplistic diagnostic labels, you would get drugged with the wrong medications, while the real conditions causing your symptoms are masked and ignored. Why? because the psychiatrist uses questioning and observation to conclude that you are depressed, bipolar, or whatever other opinion he/she has, all within about twenty minutes (or less) and without any physical exam or tests. Visit a psychiatrist or psychologist and get a psychological label. Visit an endocrinologist and get a hormonal label. You don't want a label. Visit me, get no label. The type of practitioner you visit thinks that you are looking for the answers they have, so they give you what they think you want. The problem with a new psychological or psychiatric label for your condition, is the dangerous medical assumption that your problem is coming from your mind, or brain. This is a misdiagnosis. Unfortunately, to complicate the issue, once you are given such a diagnostic label, you and the people who care about you are likely to truly believe that your problem really is coming from your mind or your brain, based solely on that opinion. Nobody even thinks that "depression," or "bipolar" can be a misdiagnosis. So, likewise, you end up with one person's "diagnostic" opinion, and one life potentially destroyed by mind-altering drugs like antidepressants, bipolar meds, etc. That is not a viable answer! 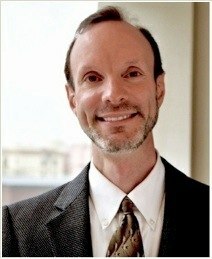 Holistic doctor in Los Angeles: we will be willing to challenge the flawed notion that your problems are "all in your head," As your Los Angeles holistic doctor, we investigate your condition using physical testing which doesn't depend on incomplete blood tests, or misguided "diagnostic opinion." We use physical testing in addition to sufficient lab testing, to reveal the true origins of your symptoms. The exam and the lab tests support each other. Our process of discovery gives the best picture of what you really need to help you; the big picture. So yes, we will check to know if it is your underlying problem too. We investigate what really needs correction in your body, and what can be done holistically—instead of just masking your symptoms with drugs, which only makes you unaware that you are not any better. As your holistic doctor we may also use advanced tests that are available from Cyrex Labs, or ALCAT to get at the true causes of your condition. So if leaky-gut syndrome were affecting your thyroid function, and that, in turn, were affecting your brain function, then your brain would seem to have a problem, but in that case, your brain is not the cause of your problem. Your Brain is Not the Cause of Your Problem. Your first challenge is to pull away from the entrenched, misguided, destructive and very convincing labels of mental disorders that were given to you. I understand that you still believe there might be some truth to the erroneous labels you have been given, but with our guidance and direction you can get out of thyroid limbo. Then, you will finally realize and know that you are not a psychiatric case after all. Do you really want to keep experiencing ADD, anxiety, depression, fatigue, feeling cold all the time, digestive system problems, IBS (irritable bowel), or your hair falling out? Do you think there will be a magic medical solution for you once your health declines to that level where your "thyroid doctor" finally gives you hormonal drug treatment? That's nonsense. Stop waiting. This is your wake-up call. Come get a detailed evaluation to protect yourself from the crazy psychiatric misdiagnoses. Let us reveal the true origins of your depression, bipolar, chronic fatigue, anxiety, ADD, or IBS. Our success rate is as good as you can get. Contact us today, for your appointment.